When factory specs don't cut it! 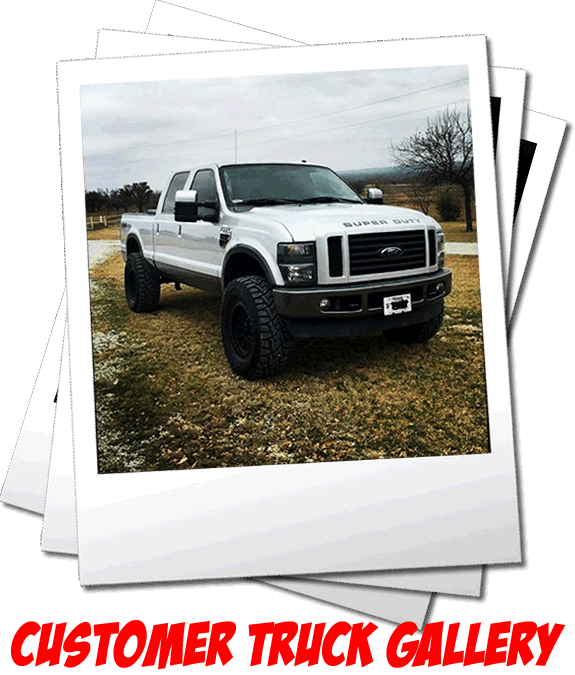 No matter how you use your truck, the engineers at Dynatrac understand that the measure by which all parts are judged is strength and performance. From light duty to extreme use, your vehicle should be built for reliability and endurance under any conditions. And all too often, the original equipment falls short. As an industry leader, Dynatrac has taken up the challenge of building the better truck. Designed specifically to remove a weak link in popular Dodge Ram 4x4 trucks, Dynatrac’s Free-Spin Heavy Duty Hub Conversion Kits replace the factory unit bearings with fixed spindles for superior strength, improved fuel economy, and smooth performance. 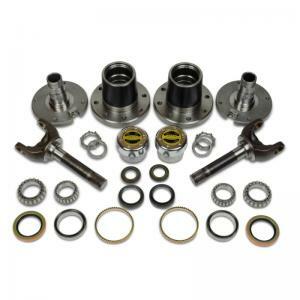 The complete kit includes inexpensive, serviceable Timken bearings, cromoly spindles, cast nodular wheel hubs, Warn Premium manual locking hubs, and massive 1.50” diameter, 35-spline outer axle shafts. All made in the USA. This combination of parts has been designed and tested to provide the best longevity and reliability under the most severe use. While the factory unit bearing is non-serviceable and prone to failure, the Free-Spin hub conversion offers ease of maintenance, a much smoother ride, better steering control, greater fuel economy, and longer axle and driveshaft life. Advantages that add up to tremendous cost savings over the life of your vehicle. When a unit bearing fails, the vehicle is often immediately disabled and cannot be driven anywhere until the unit bearing has been completely replaced. That means towing, downtime, expensive dealer repairs and a ruined vacation or lost revenue for a work truck. 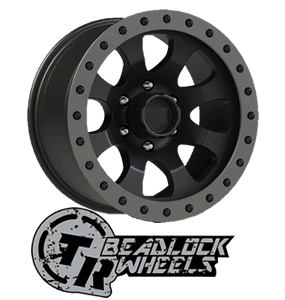 For recreational truck enthusiasts, the Free-Spin hub conversion eliminates a weak link that could easily leave you stranded. 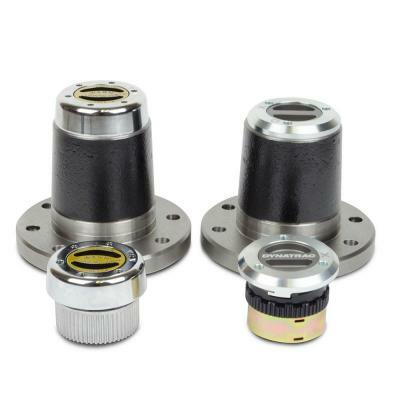 For commercial truck owners and fleet managers, who rely on their rigs 24/7 to get the job done, the Free-Spin hub conversion ensures that your trucks are on the road making you money. 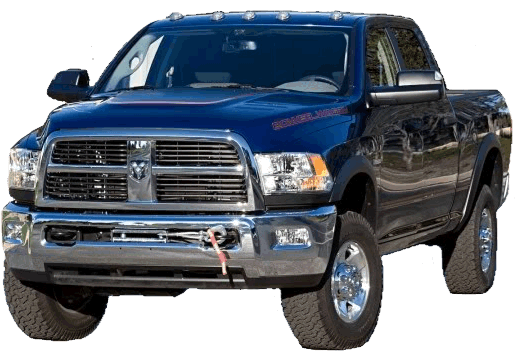 Improved Fuel economy and smoother performance is an additional bonus. 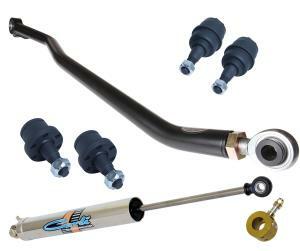 Now is a great time to get at your U-Joint as well. Easily add the U-Joint you need to this order by selecting the correct U-Joint right up near the "Add to Cart" button. 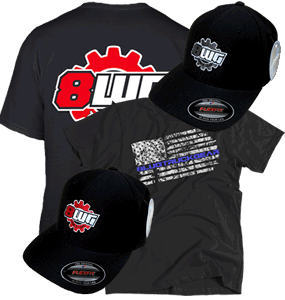 This means FREE SHIPPING on your free spin kit and U-joint! 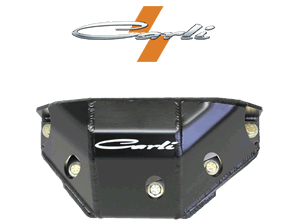 Trucks with dual rear wheels will require the use of a special dually wheel adapter. 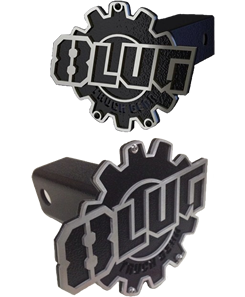 These can be purchased through Arrowcraft. 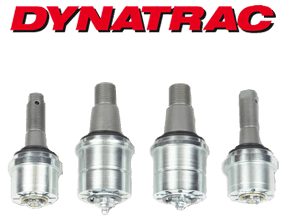 (248)-280-0210 Ask for part number AA4DDT as these parts have been made to work specifically with Dynatrac’s Free-Spin kit. 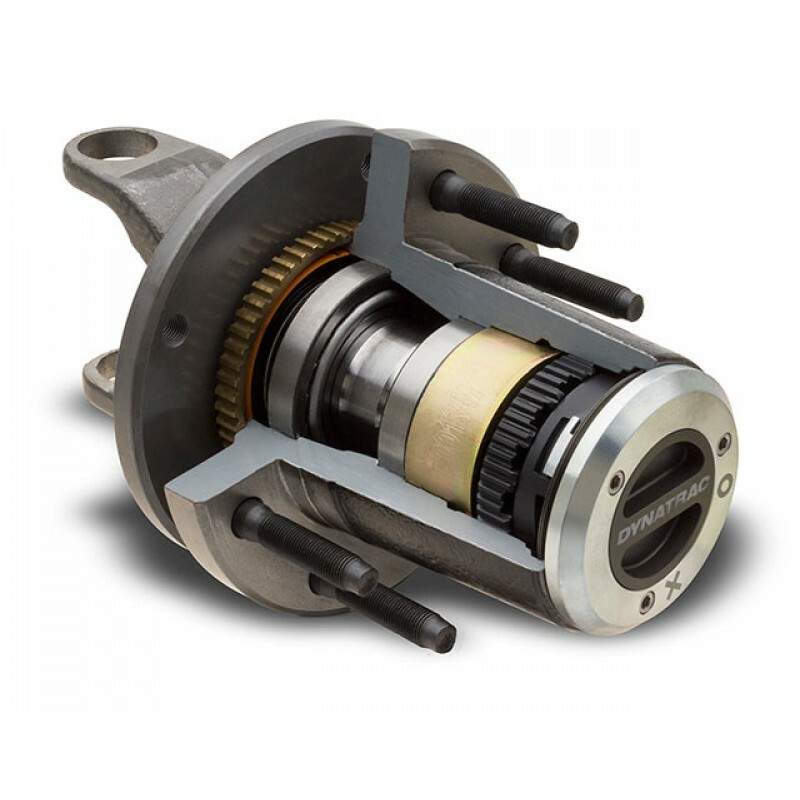 Manual-locking hubs reduce wear and increase fuel economy by preventing parts from rotating constantly during 2WD operation. 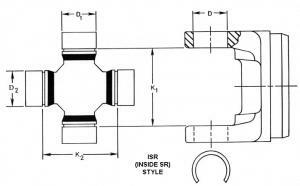 Increases reliability by eliminating troublesome axle disconnect operation. Lower cost of ownership – Wheel bearings and seals are dramatically cheaper to maintain, and can be easily serviced for longer life, even under severe conditions.  Dramatic increase in axle strength and reliability with 35-spline 1.50” shafts. Me again, on the website for something else but thought I'd check back in after 70,000 miles on the spin kit. Truck occasionally plows and spends a lot of time on crummy logging roads, I'm really surprised how well everything held up. Durability = exceptional. Been inspecting and repacking the hubs every spring and fall, everything is still in stellar shape. They probably don't need such frequent service but parts for this setup are cheap. You read that right they're cheap. Grease and a couple dana 60 hub seals is twenty bucks. This kit is easily the best thing that I ever did to this truck. 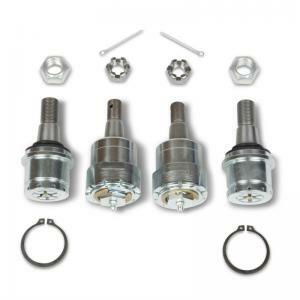 Saves front U-joints, saves gas, quieter, all that stuff in my other review still applies. 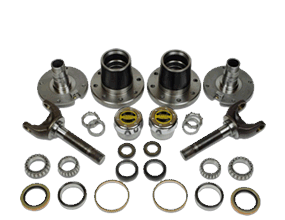 If you maintain your truck, there's nothing better than serviceable hubs! I have about 500 miles on the Free Spin Kit on my 05 2500 Dodge and am very pleased so far. Improvements are noticeable and so far appears to gave me 2 more mpg. As stated in other reviews the hard part is getting everything apart. No problems with assembly of the kit at all. George was great to deal with. I recommend the kit as a great long term investment. First off - if you are having any questions or doubts don't hesitate to contact George, he is like a walking encyclopedia and runs an A+ business. I stopped by the store and he had all of this stuff in stock! It's tough spending this kind of money sight unseen but it was a no-brainer once I saw the quality of the kit in person. Second - between George's advice and the thorough instructions it's easy to collect everything you need before you start. Buy good tools and budget plenty of time for this if you live in the rust belt. It was a real wrestling match to get the truck apart after two midwest winters. 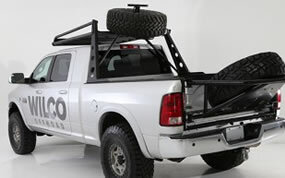 Once the truck is apart the hard work is done -the Dynatrac kit was very complete and easy to install. All of the tolerances were tight enough that things installed like they were factory parts. It delivered what everyone said that it would: lightens up the steering, improves turning radius, allows the truck to coast without feeling drag, mileage is up between 1-2mpg. Truck is quieter, also. If you can afford it, get one.